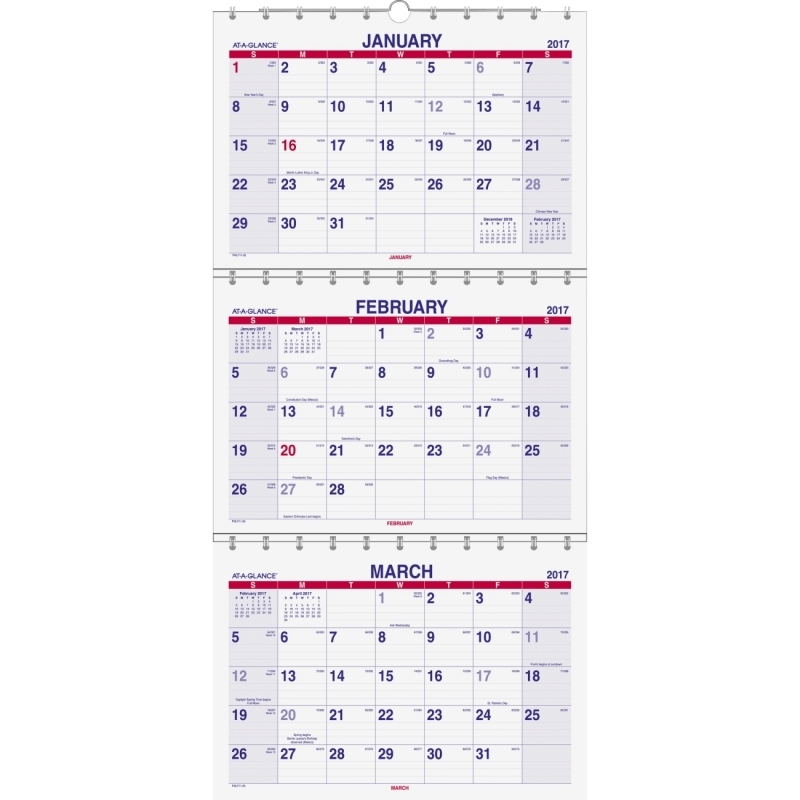 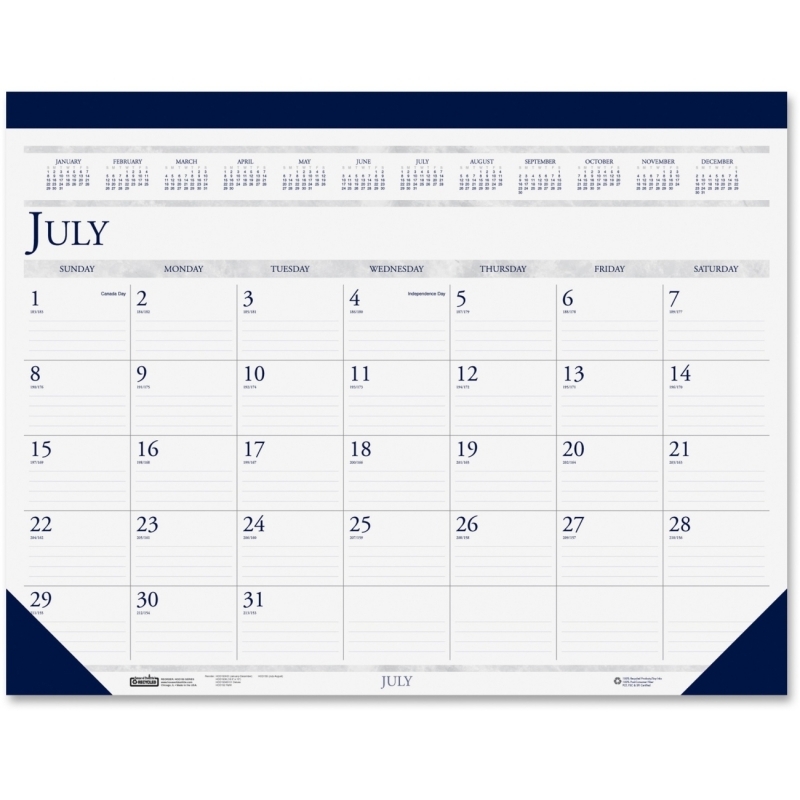 Academic desk pad calendar offers a one-page-per-month format and ranges 14 months from July to August. 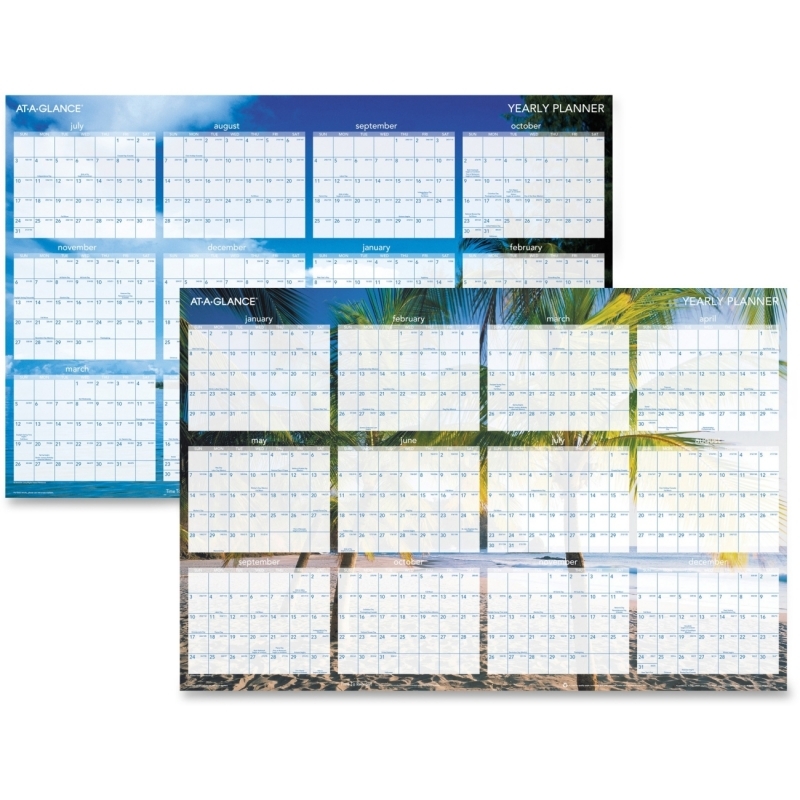 Each sheet is perforated at the top for easy removal. 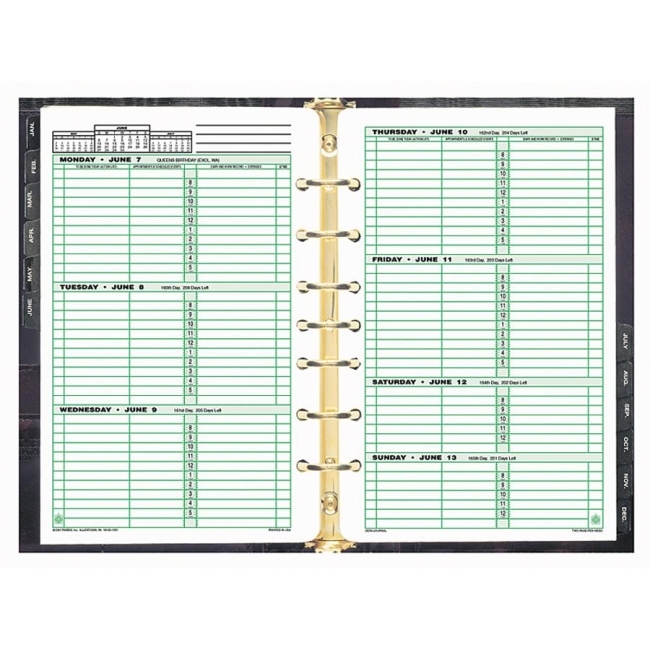 Each spread includes ruled daily blocks (3" x 2-1/8"), Sunday-through-Saturday scheduling, count of days/days remaining, holidays and a 12-month reference across the top. 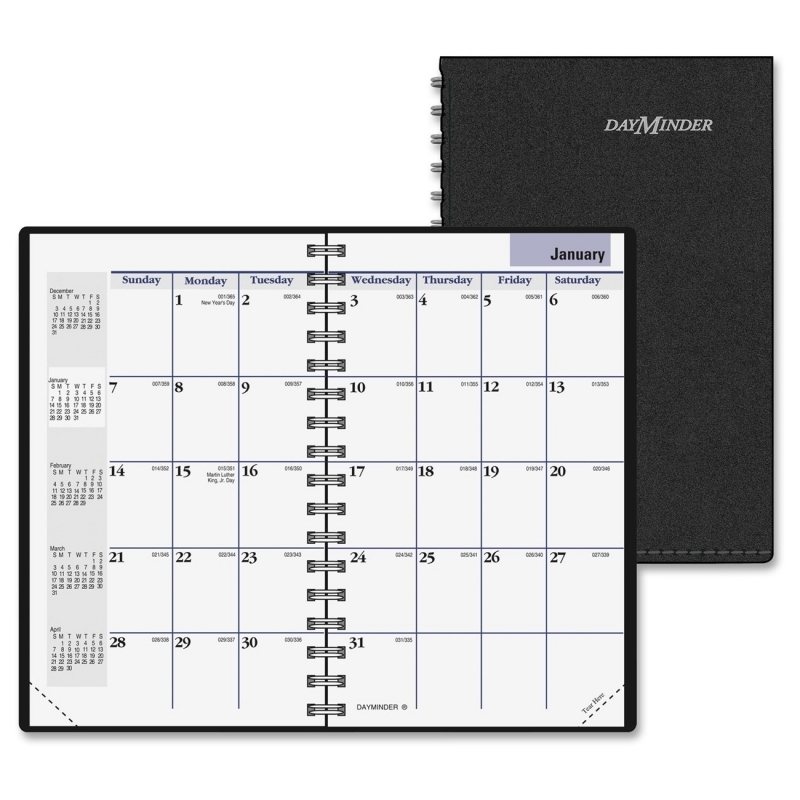 Planning pages are bound at the top and printed in deep blue and gray in soy ink on FSC certified recycled paper. 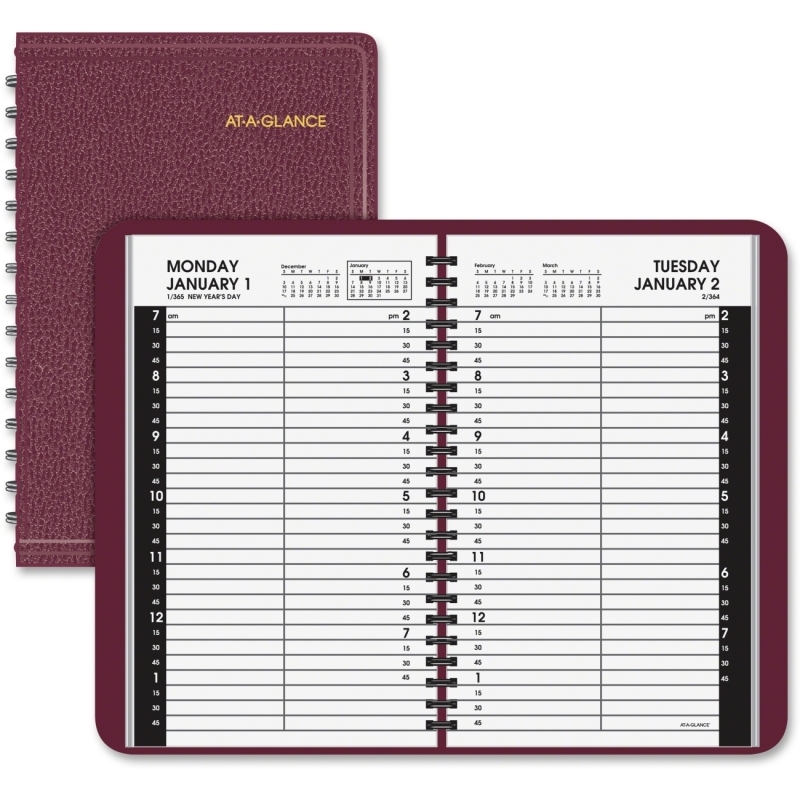 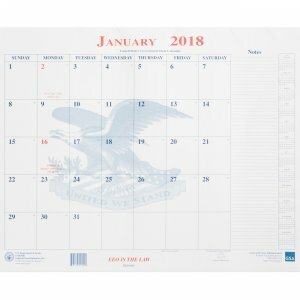 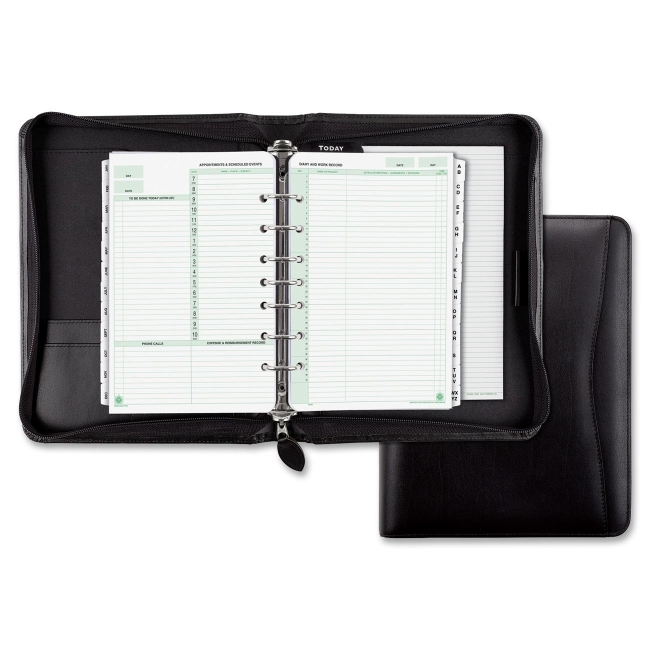 Nonrefillable desk pad calendar offers blue, simulated leather binding at the top and two vinyl corners at the bottom to hold pages in place.